We believe, in your time of need, that providing you and your family with professional care and compassion is essential in helping you say goodbye in such a way that is personal and meaningful. We offer personalised service and support 24 hours a day 7 days a week, to guide you through the steps of this difficult time, from the time of passing through to helping you choose a dignified memorial. We value the trust and many friendships we have formed with families throughout Palmerston North and surrounding areas with over 40 years of service to the community. 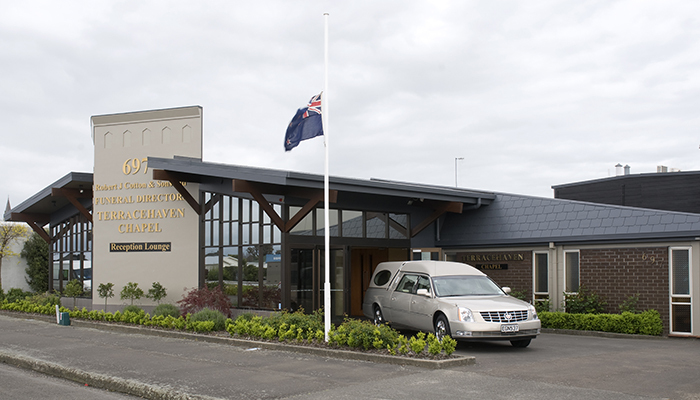 We are a member of the Funeral Directors Association of New Zealand (FDANZ) and are bound by their code of conduct and ethics. It is not easy accepting the reality and finality of the death of someone we care about. If that person is a loved one it can be even more difficult. We offer personalised service and support 24 hours a day 7 days a week, to guide you through the steps of this difficult time. What Decisions Need to be Made? It can be a difficult time when a loved one passes and there are choices to be made. Will they be buried or cremated, will the service be public or private, where will the service be held?